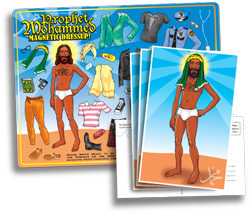 Now available: Prophet Mohammed magnet kits & picture postcards skillfully designed specificallly for your play-time-fun enjoyment! Incredibly safe and secure with Paypal. Priority shipping, domestic & International! 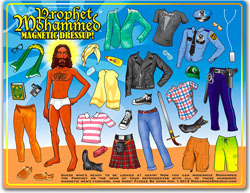 Prophet Mohammed Dressup fridge magnets! Finally, Prophet Mohammed is ready to be seen again! Choose from any of these trendy men's fashions selected from Target & the GAP, along with some of his favorite accessories, including an iPhone, a Q'uran, or his lucky green trucker's cap! 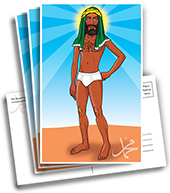 Display Mohammed proudly on your refrigerator door for friends and loved ones to admire and cherish. No where else will you find this amazing item for sale. NO WHERE AT ALL. So here & now is your only opportunity to accept the beautiful Prophet into your home. 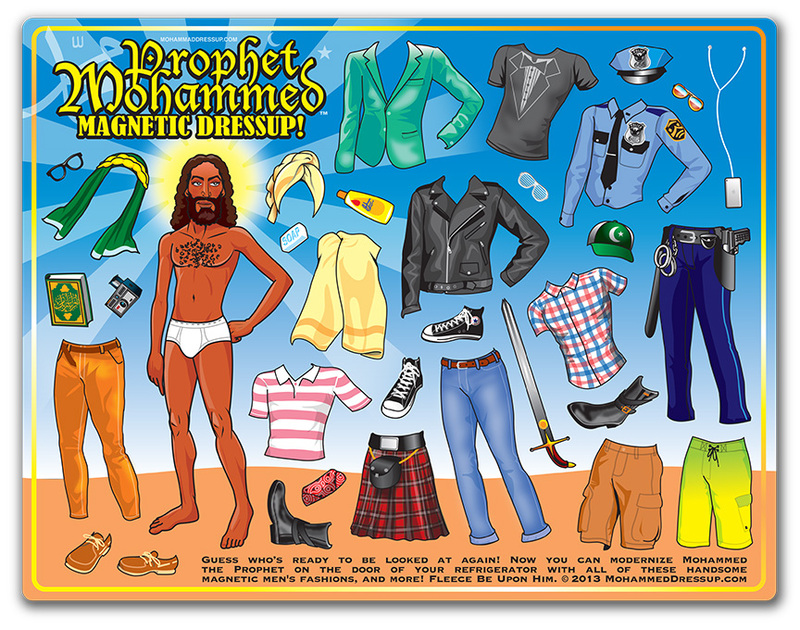 • 11" X 8" high quality print Mohammed Dressup magnet kit. 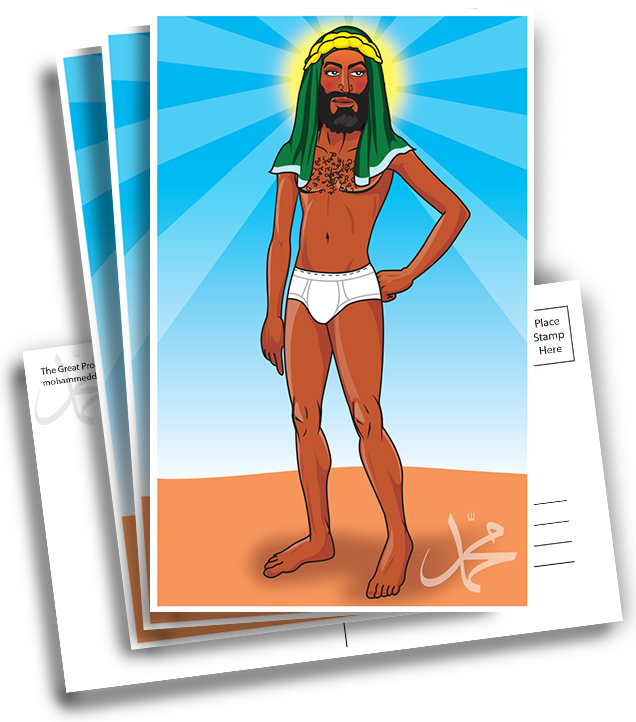 What better way to keep in touch with someone far far away than with a Mohammed postcard? These colorful, high-quality postcards of everybody's favorite Prophet can now be yours! Use them to connect with old friends, or penpal someone on the other side of the world! No envelopes, no return addresses, for mailing through the US Postal Service, just 33¢ postage! All eyes will be on Mohammed this year! • Each card is 8.5" X 5.5". • Available in packets of 20, 50 & 100.